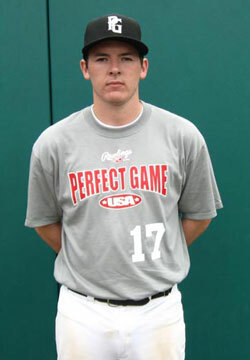 Christopher Dyer is a 2010 C/3B/OF/1B with a 6'0'', 185 lb. frame from Midlothian, VA who attends Benedictine. Athletic build, good hitting tools to work with, quick bat, stays on the ball well, good load and leverage in swing, gets extension out front, very good catching tools, strong arm, quick release and transfer, really quick, feet work, good carry on throws, great student.